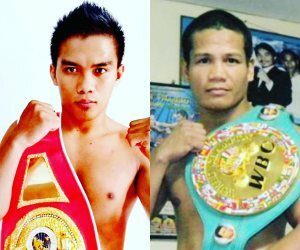 IBF and WBO Youth Super Flyweight Champion Jade Bornea (W12 KO8 L0 D0) will face a tough opponent in Former World Champion Sonny Boy Jaro (W44 KO31 L14 D5) in a featured undercard of the Petalcorin vs. Alvarez fight on October 29 at the Solaire Resort and Casino. “We have been building up the boxing career of Jade. Sonny Boy is a former world champion and should not be taken lightly. But we have full confidence that Jade’s skill and discipline will bring him another notable win and prepare him for a bigger fight probably a world title fight”, Sanman CEO Jim Claude Manangquil stated. Bornea is being managed jointly by Sanman and Amoy Boxing.